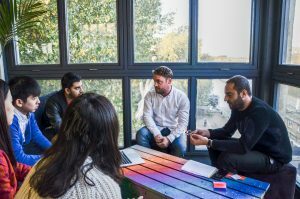 The Collaborative Project is a practical module where students work together in interdisciplinary teams to creatively solve an organisation’s brief. 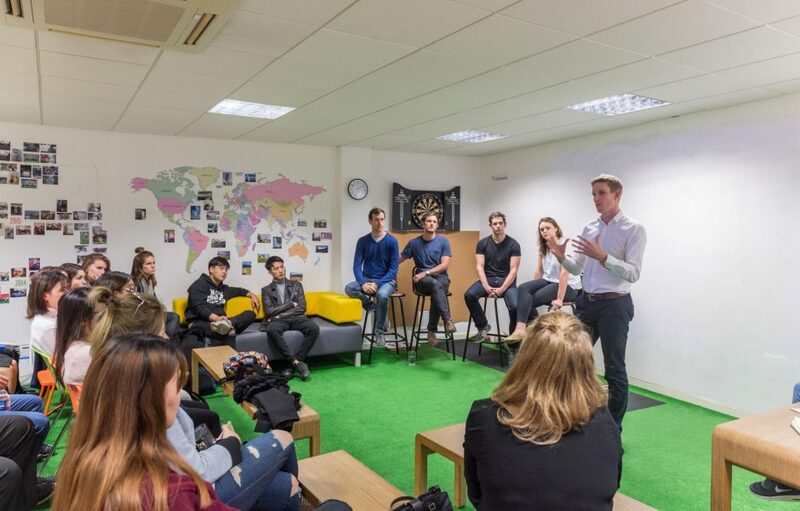 In this week’s blog post, our Student Ambassador, Leonidas, shares his experience and provides an insight into how this unique module works. 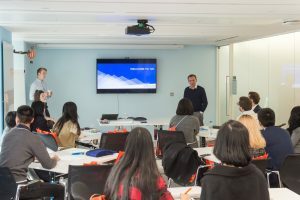 Before even applying to Loughborough University London, I had been going through the University’s website and found out about the Collaborative Project module. 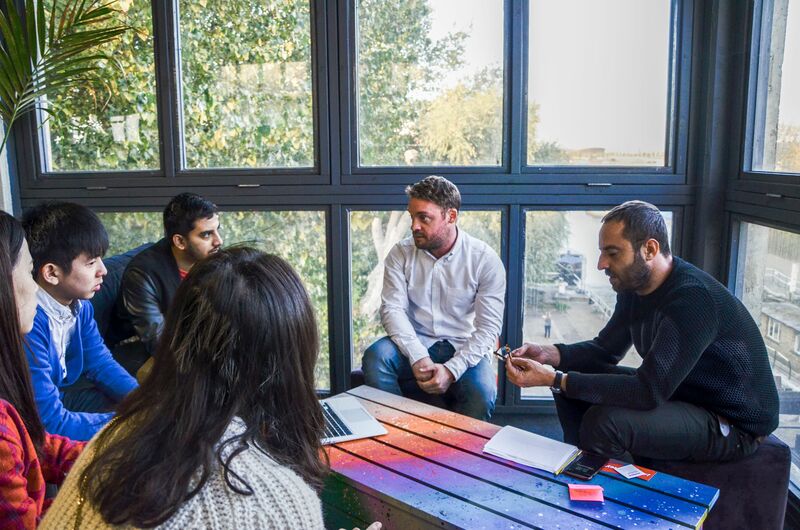 A highlight of the academic season for every student here at the London campus, the Collaborative Project is a unique module which offers students the opportunity to tackle real challenges across industries! More than 650 students from all Institutes and 19 different companies/organisations work together for 3 months. When asking last year’s students about their experiences at the University, the first thing that came to their minds was the Collaborative Project. Each and everyone had a different story to share. Starting late October, every student tried to get a grasp of the module the whole University was showcasing! First challenge of the project? Spotting the perfect teammates and forming a solid group. Looking around the room for fellow students you know you would fit well with, or students you do not actually know but still believe they would be invaluable team members, after project leaders wrapped up their initial presentations. You start digging deeper when you are faced with the first individual assignment about reflection and in the meantime you begin working on the brief as a team. Teams are enthusiastic, coming up with creative ideas, researching, teammates are bonding with each other, and contradictions are making their appearance as well. It’s all in the learning process, right? Later on, mid-November, teams are moving into real action, collecting questionnaires, challenging themselves if they can truly provide solutions and produce a realistic and applicable outcome. Wednesdays become the noisiest days to walk around the University! Everywhere, all you see is students sat down together, brainstorming and preparing for presentations. As the end of the project is coming up, workload increases, teams perform at their best, and Project Leaders are highlighting “Guys, only 10 days to your Team Reports deadline!” Teams intensify their meetings as the final presentation in front of the organisation marks one of the greatest milestones for the teams. Personally, I could not have pictured a better ending for the whole project, than a lively and engaging presentation which helped our group cross the finishing line on a high. Submission of the final Team Report must have been a moment every Loughborough student remembers with a feeling of achievement and pride! After so many meetings, presentations, researching, questionnaires, writing, the Collaborative Project is over. Learning from Collaborative Project differs a lot from other modules we are taught. I will definitely keep some points further on, both in personal and professional life: the opportunity to experience project management in practice (weekly planning, goal setting, team roles and tasks allocation, goal achievement, presentation-pitching), lifting the team’s morale when low while we were in the middle of the project and we had forgotten about why we want to produce the best possible outcome. Additionally, making use of each members’ strengths and knowledge was vital throughout the weeks, coordinating the group when members were not available for team meetings, or not in agreement with the team’s direction and strategy and finally maintaining a can-do attitude when unexpected challenges were arising can drive you a long way. Thank you Leonidas for sharing this week’s blog post! If you’re interested in finding out more about our Collaborative Project module, take a look here. 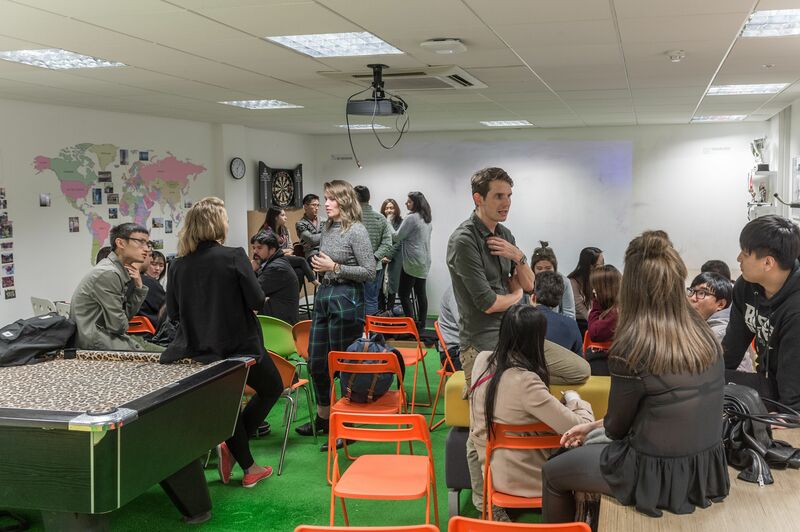 We’re also showcasing the outstanding achievements and outcomes of this year’s module at our Collaborative Project Show on Thursday 1st March (6-9pm). All are welcome to attend this event, particularly collaborators of past and present, as well as those considering partnership opportunities with Loughborough University London in the future. Please book your place here.